Nokia’s Return Too Little, Far Too Late. It’s sometimes hard to remember that smartphones are still a recent phenomenon with the first devices to be categorised as such being less than a decade old. Sure there were phones before that which you could say were smartphones but back then they were more an amalgam of a PDA and a phone more than a seamless blend between the two. Back then the landscape of handset providers was wildly different, one that was dominated by a single player: Nokia. Their failure to capitalize on the smartphone revolution is a testament to incumbents failing to react to innovative upstarts and their sale to Microsoft their admittance of their fault. You can then imagine my surprise when the now much smaller company is eyeing off a return to the smartphone market as pretty much everyone would agree the horse has long since bolted for Nokia. The strategy is apparently being born out of the Nokia Technologies arm, the smallest branch out of the three that remained after the deal with Microsoft (the other two being its network devices and Here location division). This is the branch that holds Nokia’s 10,000 or so patents and so you’d think that they’d likely just be resting on their laurels and collecting patent fees for time immaterial. However this section has been somewhat busy at work having developed and licensed two products since the Microsoft deal. The first of which is z Launcher an Android launcher and the N1 a tablet which they’ve licensed out to another manufacturer whom they’ve also lent the Nokia brand name too. The expectation is that future Nokia devices will likely follow the latter’s model with Nokia doing most of the backend work but then offloading it to someone else to manufacture and ship. There’s no doubt that Nokia had something of a cult following among Windows Phone users as they provided some of the best handsets for that platform. Their other smartphones however had no such following as their pursuit of their own mobile ecosystem made it extremely unappealing to developers who were already split between two major platforms. Had Nokia retained control of the Lumia brand I could see them having an inbuilt user base for a future smartphone, especially if came in an Android flavour, however that brand (and everything that backed it) went to Microsoft and so did all the loyalty that went with it. Nokia is essentially starting from scratch here and, unfortunately, that doesn’t bode well for the once king of the phone industry. Coming in at that level you’re essentially competing with every other similarly specced handset out there and, to be honest, it’s a market that eats up competitors like that without too much hassle. The outsourcing of the actual manufacturing and distribution means that they don’t shoulder a lot of the risk that they used to with such designs however it also means they have little control over the final product that actually reaches consumers. That being said the N1 does look like a solid device but that doesn’t necessarily mean that future devices will share the same level of quality. Nokia is going to have to do something to stand out from the pack and, frankly, without their brand loyalty behind them I’m struggling to see what they could do to claw back some of the market share they once had. There are innumerable companies now that have solid handset choices for nearly all sectors of the market and the Nokia brand name just doesn’t carry the weight it once did. If they’re seriously planning a return to the smartphone market they’re going to have to do much more than just make another handset, something which I’m not entirely sure the now slimmed down Nokia is capable of doing. 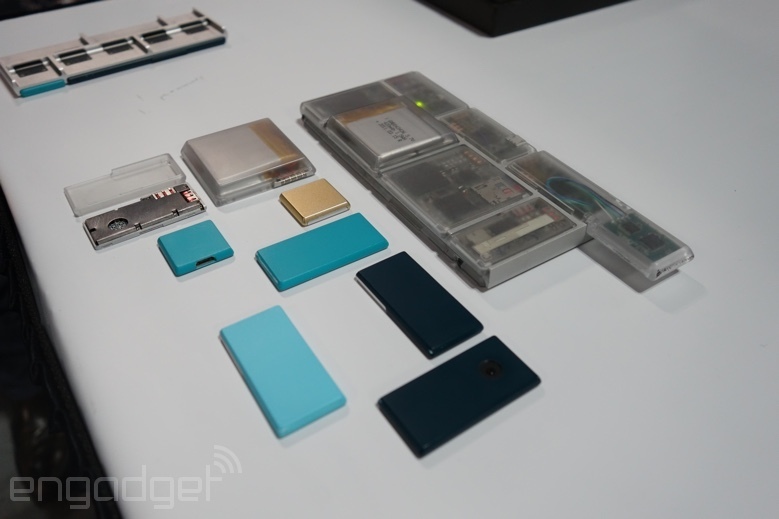 The Modular Phone Idea is Still Alive in Project Ara. There’s two distinct schools of thought when it comes to the modular smartphone idea. The first is that it’s the way phones were meant to be made, giving users the ability to customize every aspect of their device and reducing e-waste at the same time. The other flips that idea on its head, stating that the idea is infeasible due to the limitations inherent in a modular platform and reliance on manufacturers to build components specifically for the platform. Since I tend towards the latter I thought that Project Ara, Google’s (nee Motorola’s) attempt at the idea, would likely never see the light of day but as it turns out the platform is very real and they even have a working prototype. The essence of the idea hasn’t changed much since Motorola first talked about it at the end of last year, being a more restrained version of the Phonebloks idea. The layout is the same as the original design prototypes, giving you space on the back of the unit for about 7 modular units and space on the front for a large screen and a speaker attachment. However they also showed off a new, slim version which has space for fewer modules but is a much sleeker unit overall. Google also mentioned that they were working on a phablet design as well which was interesting considering that the current prototype unit was looking to be almost phablet sized. The whole unit, dubbed Spiral 1, was fully functional including module removal and swapping so the idea has definitely come a long way since it’s initial inception late last year. There are a few things that stand out about the device in its current form, primarily the way in which some of the blocks don’t conform to the same dimensions as other ones. Most notably you can see this with the blood oxygen sensor they have sticking out of the top however you’ll also notice that the battery module is about twice the height of anything else. This highlights one of the bigger issues with modular design as much of the heft in modern phones is due to the increasingly large batteries they carry with them. The limited space of the modular blocks means that either the batteries have significantly reduced capacity or have to be bigger than the other modules, neither of which is a particularly desirable attribute. 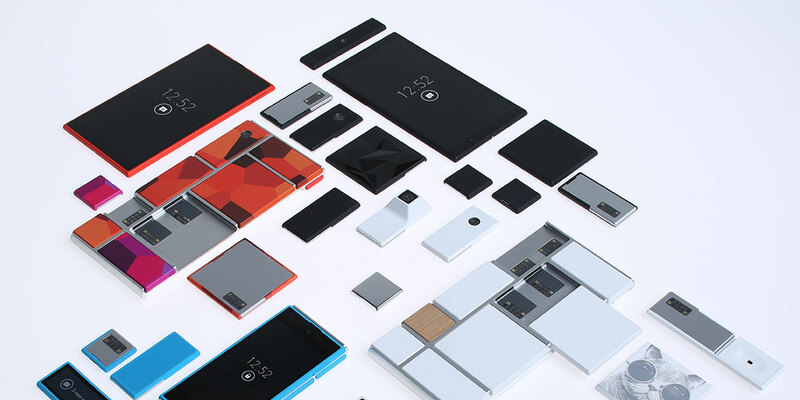 In fact the more the I think about Project Ara the more I feel it’s oriented towards those looking to develop hardware for mobile platforms than it is for actual phone users. Being able to develop your specific functionality without having to worry about the rest of the platform frees up a significant amount of time which can then be spent on getting said functionality into other phones. In that regards Project Ara is amazing however that same flexibility is likely what will turn many consumers off such a device. Sure, having a phone tailored to your exact specifications has a certain allure, but I can’t help but feel that that market is vanishingly small. It will be interesting to see how the Project Ara platform progresses as they have hinted that there’s a much better prototype floating around (called Spiral 2) which they’re looking to release to hardware developers in the near future. Whilst having a proof of concept is great there’s still a lot of questions around module development, available functionality and, above all, the usability of the system when its complete. It’s looking like a full consumer version likely isn’t due out until late next year or early 2016 so we’re going to have to wait a while to see what the fully fledged modular smartphone will look like. 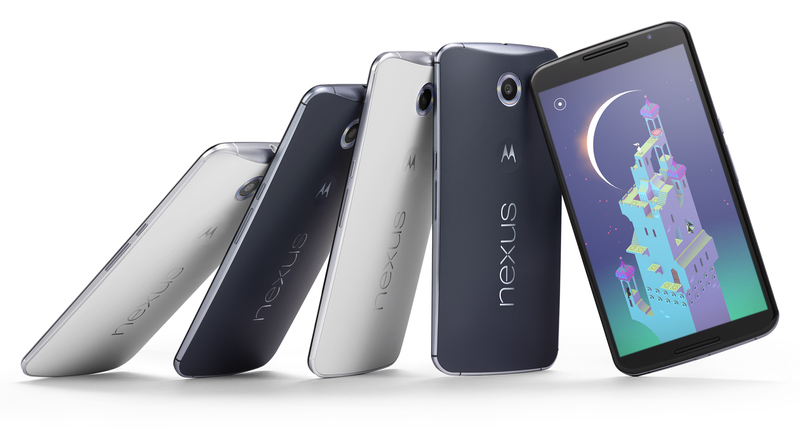 Nexus 6 Announced, Confirms 6 Inches is What Everyone Wants. For the last 6 months I’ve been on the lookout for the next phone that will replace my Xperia Z. Don’t get me wrong, it’s still quite a capable phone, however not a year has gone by in the past decade that there hasn’t been one phone that triggered my geeky lust, forcing me to part ways with several hundred dollars. However the improvements made since I acquired my last handset have just been evolutionary steps forward, none of which have been compelling enough to make me get my wallet out. I had hoped that the Nexus 6 would be the solution to my woes and, whilst it’s not exactly the technological marvel I was hoping for, Google might just be fortunate enough to get my money this time around. The Nexus 6 jumps on the huge screen bandwagon bringing us an (almost) 6″ display boasting a 2560 x 1440 resolution on an AMOLED panel. The specs under the hood are pretty impressive with it sporting a quad core 2.7 GHz SOC with 3GB RAM and a 3220mAh battery. The rest of it is a rather standard affair including things such as the standard array of sensors that everyone has come to expect, a decent camera (that can do usable 4K video) and a choice between 32GB and 64GB worth of storage. If you were upgrading every 2 years or so the Nexus 6 would be an impressive step up however compared to what’s been available in the market for a while now it’s not much more than a giant screen. You can’t help but compare this phone to the recently released iPhone 6+ which also sports a giant screen and similar specifications. In terms of who comes out ahead it’s not exactly clear as they both seem to win out in various categories (the Nexus 6 has the better screen, the iPhone 6+ is lighter) but then again the main driver of which one of these you’d go for would be more heavily driven by which ecosystem you’d already bought into. I’d be interested to see how these devices compare side by side however as there’s only so much you can tell by looking at spec sheets. As someone who’s grown accustom to his 5″ screen I was hoping there’d be a diminutive sister of the Nexus 6, much like the iPhone 6. You can still get the Nexus 5, which now sports Android L, however the specs are the same as they ever were which means there’s far less incentive for people like me to upgrade. Talking to friends who’ve made the switch to giant phones like this (and seeing my wife, with her tiny hands, deftly use her Galaxy Note) it seems like the upgrade wouldn’t be too much of a stretch. Had there been a smaller screen I would probably be a little bit more excited about acquiring one as I don’t really have a use case for a much bigger screen than what I have now. That could change once I get some time with the device, though. So whilst I might not be frothing at the mouth to get Google’s latest handset they might just end up getting my money anyway as there just enough new features for me to justify upgrading my near 2 year old handset. There’s no mistaking that the Nexus 6 is the iPhone 6+ for those on the Android ecosystem and I’m sure there will be many a water cooler conversation over which one of them is the better overall device. For me though the main draw is the stock Android interface with updates that are unimpeded by manufacturers and carriers, something which has been the bane of my Android existence for far too long. Indeed that’s probably the only compelling reason I can see to upgrade to the Nexus 6 at the moment, which is likely enough for some. So Motorola Is In Cahoots With Phonebloks: Meet Ara. The tech world was all abuzz about Phonebloks just over a month ago with many hailing it as the next logical step in the smartphone revolution. Whilst I liked the idea since it spoke to the PC builder in me it was hard to overlook the larger issues that plagued the idea, namely the numerous technical problems as well as the lack of buy in from component manufacturers. Since then I hadn’t heard anything further on it and figured that the Thunderclap campaign they had ended without too much fuss but it appears that it might have caught the attention of people who could make the idea happen. As it turns out Motorola has been working on their own version of the Phonebloks idea for quite some time now, over a year in fact. 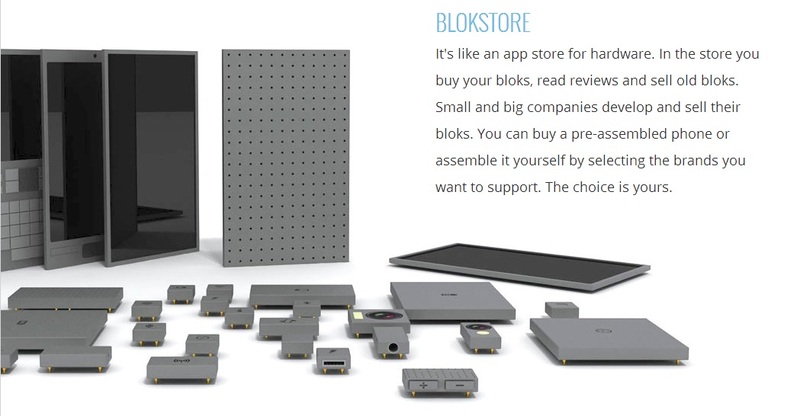 It’s called Project Ara and came about as a result of the work they did during Sticky, essentially trucking around the USA with unlocked handsets and 3D printers and holding a series of makeathons. The idea is apparently quite well developed with a ton of technical work already done and some conceptual pieces shown above. Probably the most exciting thing for Phonebloks followers ;will be the fact that Motorola has since reached out to Dave Hakkens and are hoping to use his community in order to further their idea. By their powers combined it might just be possible for a modular handset to make its way into the real world. Motorola’s handset division, if you recall, was acquired by Google some 2 years ago mostly due to their wide portfolio of patents that Google wanted to get its hands on. At the same time it was thought that Google would then begin using Motorola for their first party Nexus handsets however that part hasn’t seemed to eventuate with Google leaving them to do their own thing. However such a close tie with Google might provide Project Ara the resources it needs to actually be successful as there’s really no other operating system they could use (and no, the Ubuntu and Firefox alternatives aren’t ready for prime time yet). Of course the technical issues that were present in the Phonebloks idea don’t go away just because some technicians from Motorola are working on them. Whilst Motorola’s design is quite a bit less modular than what Phonebloks was purporting it does look like it has a bit more connectivity available per module. Whether that will be enough to support the amount of connectivity required for things like quad core ARM CPUs or high resolution cameras will remain to be seen however. So whilst the Phonebloks idea in its original form might never see the light of day it does appear that at least one manufacturer is willing to put some effort into developing a modular handset. There’s still a lot of challenges for it to overcome before the idea can be made viable but the fact that real engineers are working on it with the backing of their company gives a lot of credence to it. I wouldn’t expect to see any working prototypes for a while to come though, even with Motorola’s full backing, but potentially in a year or so we might start to see some make their way to trade shows and I’ll be very interested to see their capabilities. Canon, Nikon Should Abandon The Compact Market. When was the last time you picked up a compact camera? I’ve got one sitting in my drawer beside me (the Sony DSC-HX5V that I reviewed all those years ago) and it’s been there for the better part of 2 years, not seeing the light of day. I’d hazard a guess that everyone has at least one digital camera lying around their house somewhere that simply doesn’t get used anymore and it doesn’t take a genius to figure out why. When the picture quality of your smartphone is comparable to your pocket cam there’s really no reason to bring it along, even more so when your smartphone has all those convenient options for sharing them instantly. With that in mind it seems a little odd that the major camera manufacturers still bother making them as it seems clear where the future of that segment is. Indeed if you check out the recent financial results of both Canon and Nikon they both cite the lagging sales in compacts as a contributing factor to their recent decline in sales and profit. It’s not just isolated to them either, pretty much everyone in the camera business has been hurting recently and it seems to be all directly related to their continued presence in the compact market. Now I’m not saying that this market needs to disappear completely, there’s still people out there to sell them too, however when your bottom line is having an axe taken to it because of one particular product line it’s time to rethink your presence there. Indeed when the major player’s interchangeable lens system cameras are doing so well in comparison it seems inevitable that this is the direction they should take, although some would think otherwise. Nikon’s president Makoto Kimura doesn’t want to abandon this sector and instead wants to “change the concept of cameras”, potentially with a non-camera device. As some analysts have picked up on this sounds an awful lot like they might be trying to enter into the smartphone market somehow but in all honesty that’s the last thing they should be doing. If Nokia’s attempt at bringing better camera technology to the mobile platform is anything to go by then I can’t imagine Nikon’s going much better, especially considering the luke warm reception their Android based pocket cam received. It would be far, far better for them to simply drop the whole sector together and then refocus their efforts on further improving their mirrorless and DSLR ranges which will always have a strong market behind them. I’m not advocating that they just straight up stop making them, there’s still a bit of money to be made here, but it’s obvious that even super cheap compacts aren’t enough to pull consumers away from their smartphones. Instead they should gradually taper away their involvement in the area, reducing the number of models they produce significantly. It’s very possible that there’s a sustainable niche in there somewhere which could support a couple models and reducing the available product lines would show that. If they became unsustainable then it’d be time to drop that area completely and then put those resources to use in their other imaging sections. There’s also the possibility of licensing out their technology to smartphone manufacturers in order to get at some of the action that they’re currently missing out on although whether any of their tech is applicable is an engineering question I can’t answer. This isn’t necessarily a bad thing for compact makers, all it means is that part of their market has been eaten away by technological advancements in other fields and it’s time for them to adapt. I think they’re all well placed to whether this change as their businesses outside their compact range are all strong, even growing in most cases. Whilst the loss of the compact sector won’t necessarily mean a boost to the DSLR/mirrorless sector it will mean they’re spending less money on a shrinking sector, something which seems like smart business sense. Hopefully they take this path sooner rather than later as I’d hate to see my favorite camera manufacturer suffer unduly because of it.